Most fictions writers know that the chance of becoming a multi-millionaire from publishing a book has about as much likelihood of happening as winning the lottery. The success of writers such as Tom Clancy rarely happens. It’s becoming more and more difficult to realize true monetary success from having a work of fiction published by a major publishing house. That’s why self-publishing endeavors (such as print-on-demand) have become so appealing to authors. If a book of fiction is published through the traditional publishing house, an author can expect an advance in payment based on what the “experts” anticipate the earnings of the book will be. Advances can vary from a few thousand dollars to into the millions of dollars if you’re the caliber of a Tom Clancy. When the check is issued, it’s the author’s to keep, no matter how many sales of the book may occur. The publisher then subtracts the monetary advance issued to the writer from the royalties the book earns. Royalties are based on a percentage (usually between 4% and 8%). After the advance is subtracted from future royalties, the author will begin to receive a royalty percentage on every sale of the book. Most writers are happy if they receive a total of $50,000 on their first book. Depending on how the first book sells, it may be easier to negotiate your next one with a publisher. If a book of fiction is published using the POD method, the author will receive profits based on a per sale basis. A larger amount of profits occurs if the sales are generated from the POD service’s web site. The author can also purchase a number of the books from the web site and market them himself. Another way to profit from publishing fiction is to sell it as an ebook online. The profit received is 100%, but the author must have knowledge about how to generate sales for the book online. 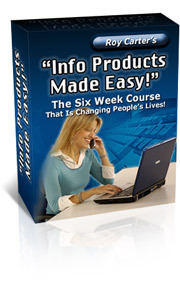 There are several downloadable programs that you can access to learn about the ebook business. Selling books online is becoming an increasingly popular way to self-publish all types of writing. Research all methods of self-publishing and then decide which would be the best way for you to see your fiction in print. There is no lack of information both online and in informative books that can help you in your venture.